Provision, manage and scale compute infrastructure on Google Cloud. Preemptible VMs are highly affordable, short-lived compute instances suitable for batch jobs and fault-tolerant workloads. Preemptible VMs offer the same machine types and options as regular compute instances and last for up to 24 hours. PVMs offer significant savings, but normally, they would not be ideal for production or mission-critical workloads. 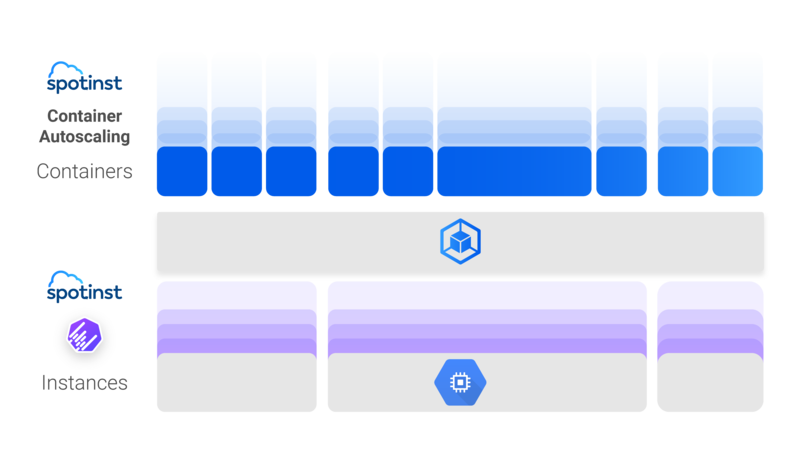 Elastigroup for GCP changes that. Based on historical and statistical data, Spotinst’s Elastigroup predicts preemptions ahead of time and automatically migrate instances into different machine Types, Zones or fall back to On-Demand in order to ensure high availability and consistency. Elastigroup will also make sure that the preemption is done gradually to ensure service uptime. 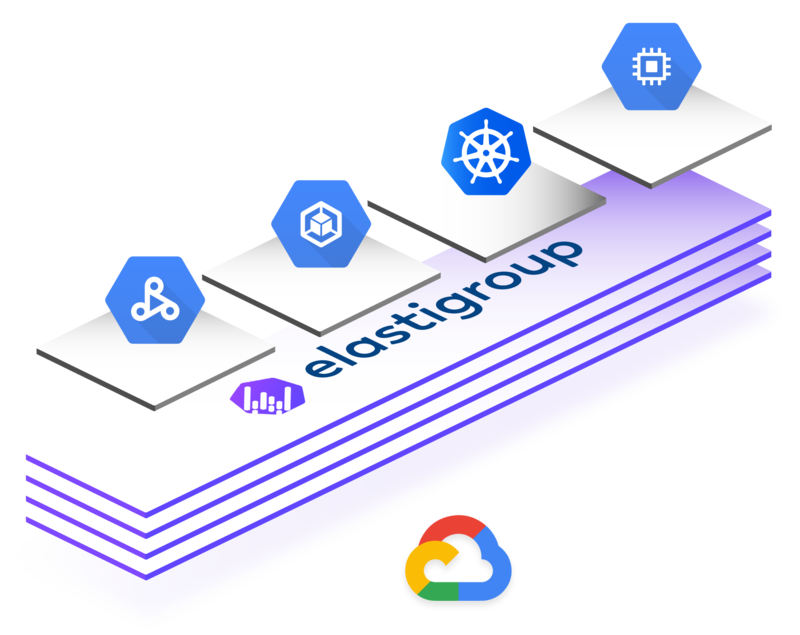 Elastigroup integrates with various applications and services including GCE, GKE, Google Cloud Load Balancing, Stack Driver and more. Elastigroup reliably utilizes Preemptible VMs based on Machine Learning models to predict preemptions and maintain high-availability. Elastigroup maintains the same behavior as Instance Groups while making it much more powerful – Elastigroup maintains your application availability and allows you to automatically scale your capacity up or down in order to meet your application’s needs – while leveraging Preemptible VMs to save up to 80% of compute costs. Elastigroup’s Auto-Scaling engine uses both metric-based and event-driven scaling methods and considers VM sizes and prices before scaling. Elastigroup integrates with GKE within a few clicks. Elastigroup will then manage and auto-scale infrastructure based on the needs of pods and workloads. Elastigroup provides integration with Kubernetes on GCE natively or via KOPS. When the integration is set, Elastigroup manages the underlying layer of infrastructure and allows you to focus on your applications. 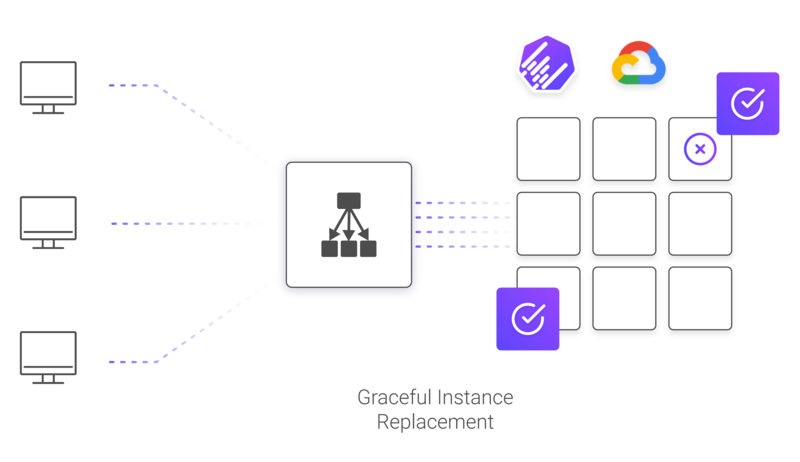 Elastigroup integrates seamlessly with GCP Backend services to distribute load across VMs efficiently and scale according to load metrics. Elastigroup deregisters & registers VMs ahead of Preemptible VMs termination to ensure high-availability, data integrity and HTTP/network consistency. Elastigroup uses predictive algorithms and historical data to forecast PVM interruption. Elastigroup automatically transitions applications to the least expensive available VM with the option to fall back to on-demand VMs. Elastigroup automates PVM replacement and reduces operational overhead and development time. The savings that Spotinst helps us to bring are great, the simplicity of the service is even better! Running GKE on Preemptible VMs was something we didn’t think was possible. With Spotinst, it was simple!